We’ve all been there: you open a bottle of wine, pour a sip (or a full glass, let’s be honest), and something doesn’t taste quite right. But how do you know if the wine has actually gone bad, OR if it’s just an obscure, funky-tasting bottle that’s meant to taste unusual? The most common kind of wine flaw is called ‘cork taint’ (ie, when you hear people say a bottle is ‘corked’). This means that the cork of the bottle has been infected with a bacteria called Trichloroanisole (‘TCA’ for short). A ‘corked’ wine will smell and taste like musty cardboard, wet dog, or a moldy basement. It’s very easy to identify! Some wines have just the faintest hint of TCA- which will essentially rob the wine of its aromas and make it taste flat. Only wines closed with a natural cork will have this problem! Screwcaps and synthetic corks will not have cork taint. When a wine has had too much exposure to oxygen, we call it ‘oxidized’. This can happen when a wine hasn’t even been opened yet (if the oxygen transmission rate through the cork is too high); or it can happen to a bottle of wine that’s been sitting open a bit too long. 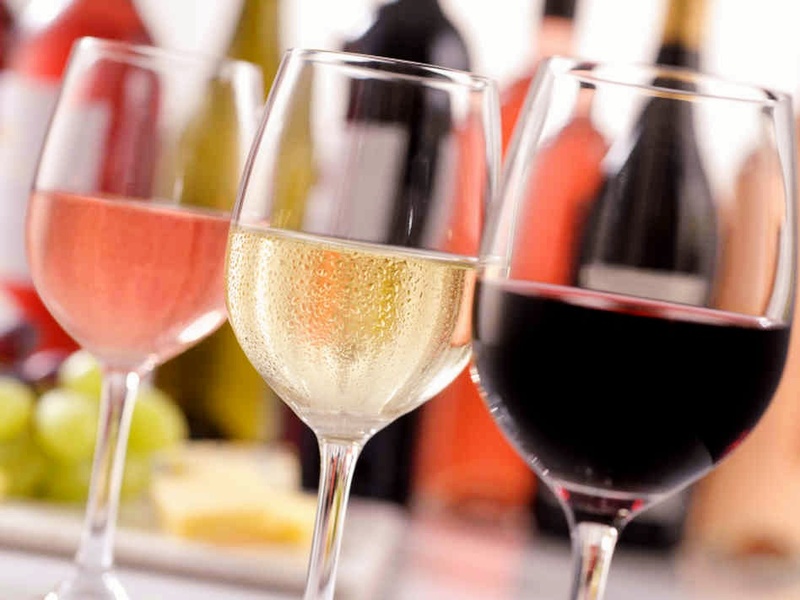 You can tell a wine is oxidized by the color: white wines will look darker than they should; red wines will lose purple undertones and look more brown. The wine may have a vinegar-y taste. The opposite problem of oxidation is something called reduction: when the wine has not had enough oxygen exposure, it develops sulphuric compounds and the wine will smell strongly of sulphur (think: a struck match). This is more common in screw cap bottles than natural corks. However, if you get a reductive bottle- try decanting it! The fumes can blow off and the wine may correct itself. This is when a wine that is NOT supposed to be sparkling, has developed little bubbles! The wine is re-fermenting inside the bottle, which in my experience can happen if the wine is stored at too warm a temperature- on the ship/truck, in the warehouse, or in a warm basement at a cheap liquor store. Definitely take the wine back if this happens to you! The wine has been stored at too high a temperature (probably in transit somewhere on the supply chain), and has essentially been ‘cooked’. It may smell/taste slightly ‘jammy’ or may have a brown sugar, cola, or soy sauce taste. Bacterial microbes naturally form in wine. However sometimes they can overgrow and make the wine taste ‘off’. This is that ‘mouse’ smell, or gerbil-cage aroma (ew). This is more common in ‘natural’ wines that haven’t been treated with sulphur dioxide. Now that you know what to look for if you think your wine is bad, let’s talk about wine attributes that may be a little weird, but are not technically flaws. This is when the wine has high levels of acetic acid, which can make it taste and smell like nail polish or varnish. When wine has natural herbal/floral/vegetal notes, it can be off-putting to some people. Grass, violets, green bell pepper, and sharp herbs are all common notes in many wines--- again, not a flaw, but much as some people cannot stand cilantro, some can’t handle ‘green’ flavors in wine. This is most common in Sauvignon Blanc, Cabernet Franc, Cabernet Sauvignon and Carmenere. Crystals of tartaric acid can form naturally in wine. These could look like grains of salt in the bottom of a bottle of white wine; or with red wine, black-looking, sandy sediment. Wine can be decanted off its sediment. ‘Brett’ is short for brettanomyces’, which is a bacteria with a very strong odor caused by certain yeast strains. You can spot brett if the wine has ‘barnyard’ aromas: it smells like horses, hay-bales, or stables--- or alternately, a band-aid smell/taste. It’s common in Rhône wines (Syrah and Carignan), but not limited to that region.